Pamela Chestek over at her blog Property, intangible discusses the Fourth Circuit’s recent decision in OBX-Stock, Inc. v. Bicast, Inc., No. 06-1769 (4th Cir. Feb. 27. 2009). The decision serves as a good reminder about the importance of using a trademark as a trademark. Too many people not familiar with trademark law fail to appreciate that just because you come up with a unique word or slogan and affix that word or slogan to various goods (most often T-shirts or other souvenir items) does not mean that you are using the word or slogan as a trademark, especially in the case where the term is acknowledged to signify a specific geographic location. Trademarks are supposed to serve as source identifiers for a company’s goods and services – not as an identifier of something else for which you then use on goods and services. Trademark law, at a general level, protects the goodwill represented by particular marks, enabling consumers readily to recognize products and their source and to prevent consumer confusion between products and between sources of products. The marks enable consumers to make informed, independent decisions about quality and other product characteristics. But the law also protects the "linguistic commons" by denying mark holders an exclusive interest in words that do not identify goodwill attached to products or product sources but rather are used for their common meaning or meanings not indicative of products and product sources. See America Online, Inc. v. AT & T Corp., 243 F.3d 812, 821 (4th Cir. 2001); see generally 1 J. Thomas McCarthy, McCarthy on Trademarks and Unfair Competition § 1:27 (4th ed. 2008). In this case, the plaintiff (“OBX-Stock”) had coined the term “OBX” as a reference to the Outer Banks of North Carolina and made money selling products with OBX affixed thereon. The evidence showed that the public came to embrace OBX as a reference to the Outer Banks (thanks in part to OBX-Stock's sale of merchandise emblazoned with the OBX mark). A company can obtain trademark rights over geographically descriptive marks with evidence of acquired distinctiveness. Of course, you must first use the mark as a source identifier – and not in its geographically descriptive sense. In this case, the court found that OBX-Stock affixed the letters OBX to stickers, souvenirs, and other sundries not to label an OBX brand product produced by OBX-Stock, but to indicate an association with the Outer Banks (i.e., OBX-Stock’s use of OBX on its souvenirs was always meant to be a reference the Outer Banks, and not to communicate that the souvenirs were produced by OBX-Stock). In this case, the court found that the evidence indicated overwhelmingly that "OBX" is [ed. - OBX-Stock used OBX as] a geographically descriptive or generic term for the Outer Banks. Moreover, OBX-Stock had failed to show any evidence that any consumer associates OBX with its products or with OBX-Stock itself. 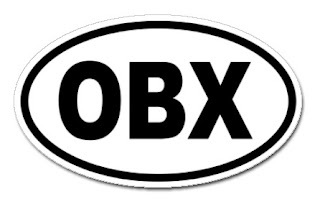 Curiously, even though the Court of Appeals affirmed the district court’s decision that "OBX" was either generic or a descriptive mark without secondary meaning, the court did not overrule the district court’s decision not to order cancellation of OBX-Stock’s trademark registrations. For OBX-Stock’s trademark registrations on the Principal Register based on Section 2(f), the court’s decision would appear to nullify the 2(f) basis for maintaining the registration. Of course, while this is good for Bicast, what about future parties who may be afraid of using the OBX mark (even in a geographically descriptive fashion) for fear of being sued by OBX-Stock. Similarly, in this case, future businesses should not be confused by OBX-Stock’s trademark registrations for the OBX mark into believing that they may not use the term OBX (particularly as a reference to the Outer Banks). In my opinion, the Third Circuit should have remanded the case back to the district court to order OBX-Stock’s trademark registrations (at least those on the Principal Register based on Section 2(f)) to be cancelled. This is very interesting. I live in the Outer Banks (OBX) and this makes complete sense. I am not an attorney but you should see all of the domain names with "obx" in the name to represent that their respective business is on the Outer Banks. I would think if they had a legitimate tradmark and really valued their name, they would go after all of these people as well. We might get a flood of tourist trinkets now with "obx" now that there is not more bite left in the bark.